Maud Lewis (1903-1970) was born to John and Agnes Dowley on the Yarmouth and Acadian Shore of Nova Scotia. Although there is some debate about her exact birth place, recent research has revealed that Maud was born in the town of Yarmouth, Nova Scotia. The backdrop of her playful and colorful images, her only experience of the world extended to an area between her birthplace in Yarmouth County and her married home in Marshalltown, Digby County. 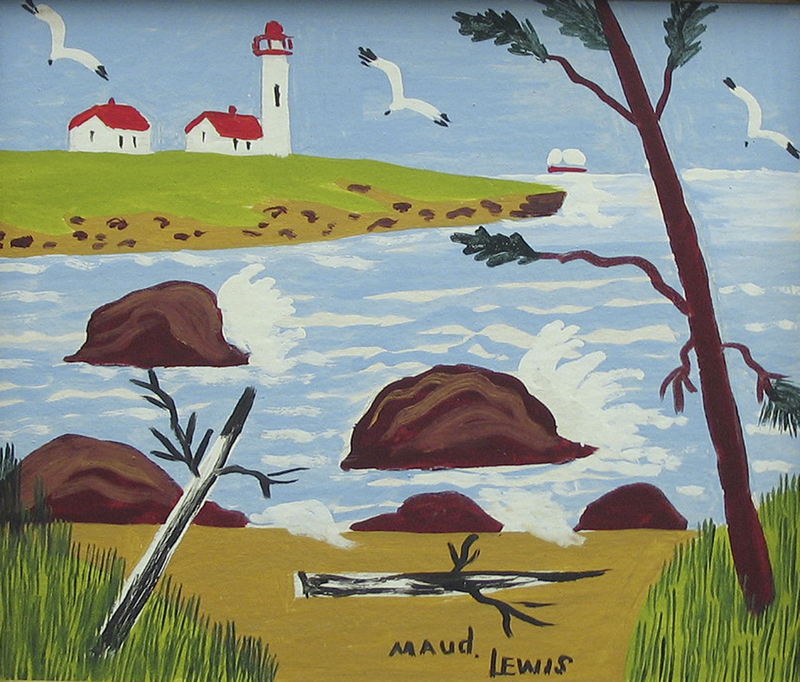 In the world of folk art Maud Lewis is a legendary figure. Her life and accomplishments have been celebrated far and wide in nationally touring exhibitions, publications, and, most recently, on the silver screen in the 2017 cinematic release Maudie.